Last weekend I enjoyed an overnight stay with the lions and rhinos at Canberra Zoo. During my whirlwind 24 visit from Sydney I was keen to find a café in Canberra that would challenge the best in Sydney. I narrowed my choice to three spots based on recommendations, and decided on The Cupping Room (Local Press Cafe and Penny University are earmarked for my next trip). 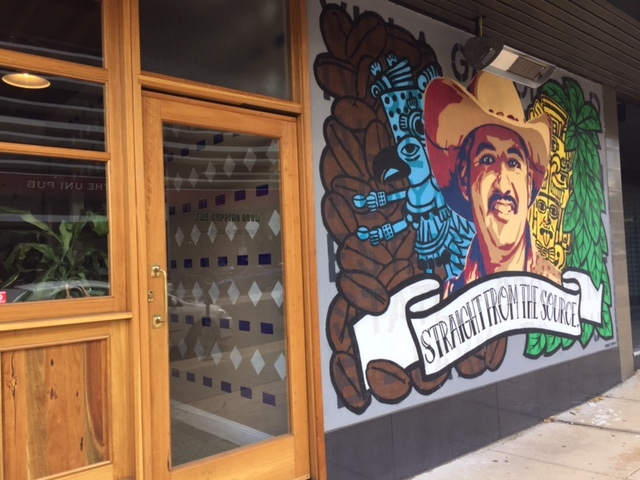 The Cupping Room dominates an otherwise ordinary corner of Canberra’s CBD – a colourful wall mural, busy outdoor high benches and a striking wooden frontage sit in stark contrast to the surrounding concrete buildings. Inside it’s on par with cafe that you’d find hidden down a Melbourne CBD laneway – the setting is as photogenic as the food and coffee, hence their large Instagram following. The Cupping Room was designed by the team behind Ona Coffee – Canberra’s largest specialty coffee roaster. Since 2008 they’ve been working directly with coffee farmers in countries like Brazil, Costa Rica and Ethiopia, and paying at least 20% more than fair trade prices. 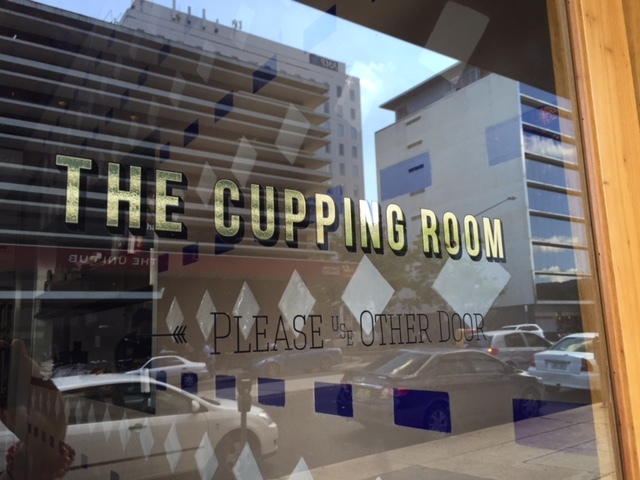 As the name suggests The Cupping Room is all about coffee. ‘Cupping’ is the process through which those with a highly refined coffee palate judge brews against each other. The coffee is a little more involved than you may expect – don’t make the mistake of just asking for a latte or flat white. 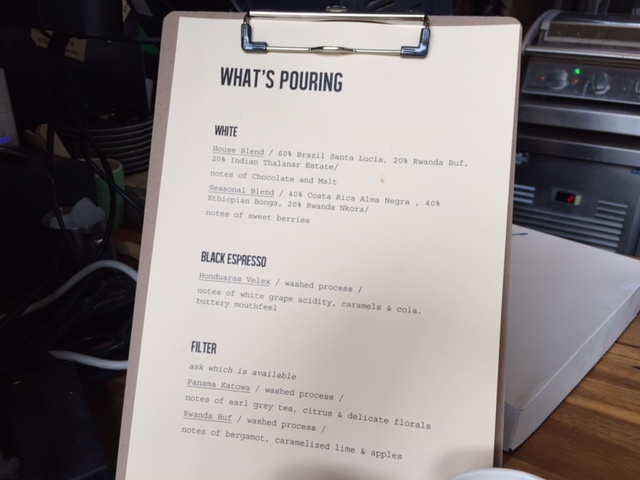 Instead check out the ‘what’s pouring’ menu and ponder over white, black espresso and filter options, and even choose between different blends. The coffee sets a high bar for the rest of Canberra to follow but the food at The Cupping Room is also worth a visit in its own right. An extensive all-day menu is served until 2.30pm, so you can have your Bircher muesli at lunchtime or tuck into honey glazed pork ribs at 10am. The standard menu items are accompanied by a couple of equally tempting specials. 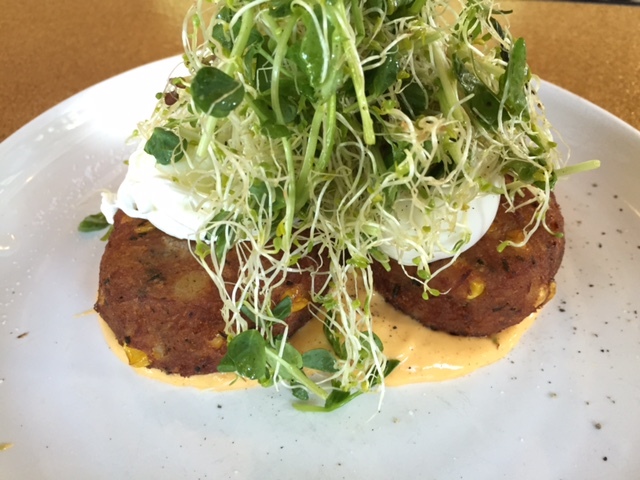 It was a relief that the pending zoo tour forced me to choose quickly – I chose the ‘avo & his mates’ but when I saw my husband’s ham hock fritters we both agreed it was only fair to share both dishes. Gluten free? You’re well catered for at The Cupping Room – with many dishes clearly marked as ‘gf’. 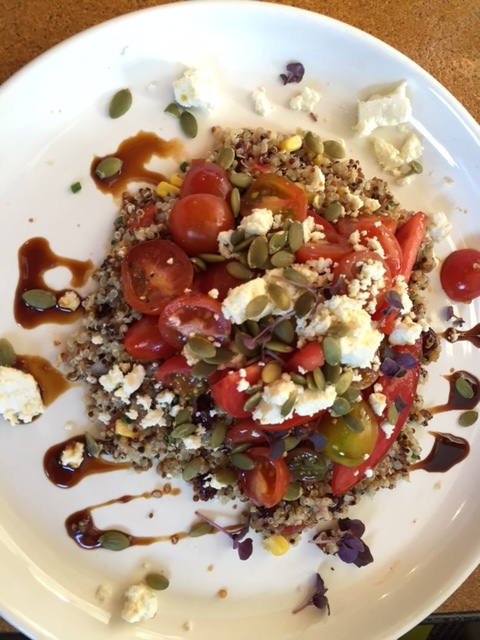 Even the dishes that feature sourdough can be made gluten-free with Deeks quinoa bread. 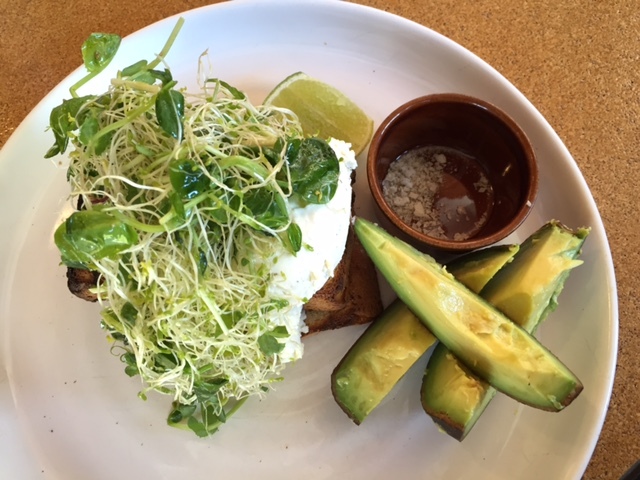 That’s one of the reasons I chose the avo & his mates – I wanted to try it with the quinoa bread. The heirloom tomatoes dish on the menu also caught my attention – so when one of my neighbouring diners had this dish and I managed to grab a quick photo. What about the burgers? Well they were flying out of the kitchen and so must be popular. 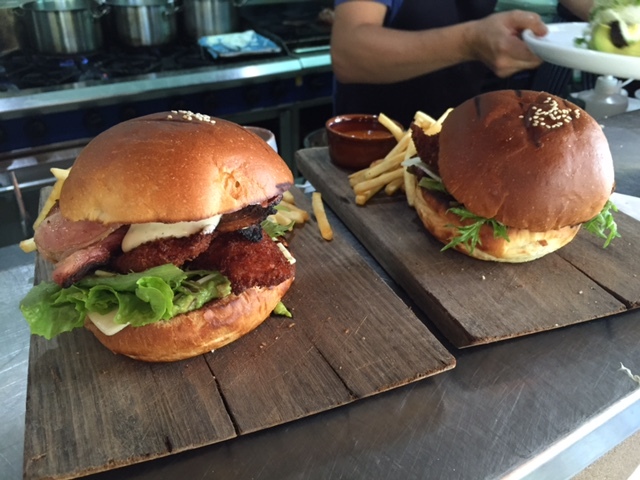 Here’s the Chicken Chivito….. In a rush? 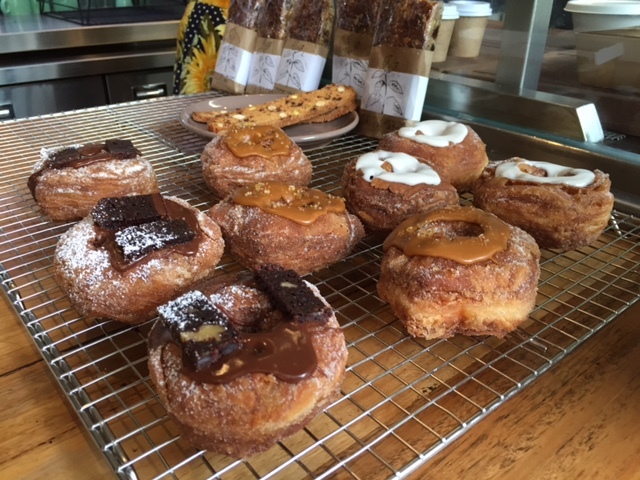 Don’t worry there’s a hole in the wall take-away window through which you can order coffees and more, like these tempting cronuts (croissant/donut cross). As you can see the food at The Cupping Room is hearty, unique and boasts lots of fresh Australian produce. And with prices between $7 and $25 you can feast without your wallet taking a hit. No wonder all of those hungry and hungover students seem happy to queue outside waiting for a table. Join the queue next time you’re in Canberra. 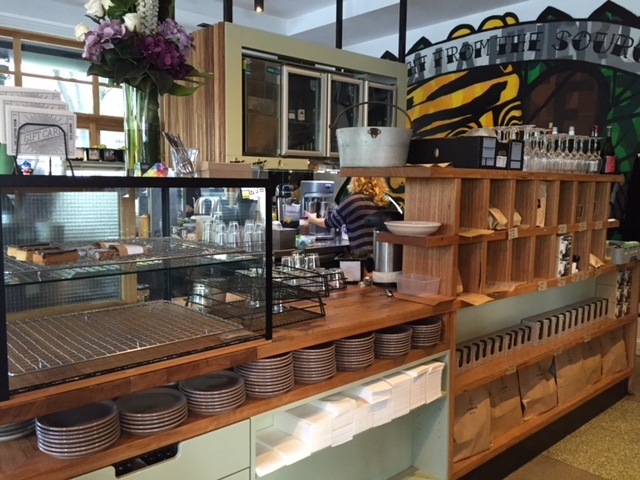 Tags: cafe, Canberra, coffee, menu, review, The Cupping Room. Bookmark the permalink. I had the heirloom tomatoes recently – it was a perfect light breakfast that you feel healthy eating! Definitely worth a try. Local Press is my favourite cafe in Canberra, definitely stop in next time! Glad to hear the tomato dish tastes as good as it looks! And Local Press cafe is the plan for my next trip…..